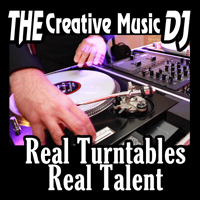 THE Creative Music DJ adds a CREATIVE & FUN touch that will leave guests saying “WOW!” Through charismatic interaction with the guests he creates the atmosphere for a memorable event that your guests will definitely remember. San Diego DJ Dennis Jones is the President of the local American Disc Jockey Association (ADJA). Combining the talent of a scratch weddings DJ with the microphone finesse of a television emcee, he can exhibit elegance and then switch to club-style as an event needs. Preferred vendor of WeddingWire and The Knot.